The Poly Theater in downtown Beijing was packed with audience for a folk music concert held by ensembles from SCO member countries on Wednesday night. 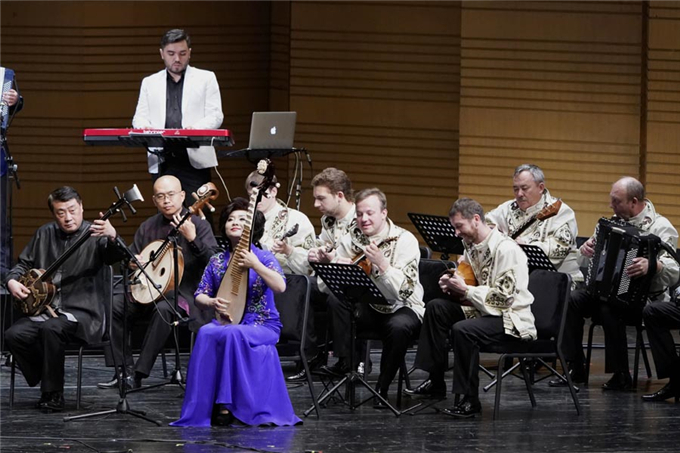 Musicians from China, Russia, Uzbekistan and Kyrgyzstan took audience members on a splendid and diversified musical tour with masterpiece traditional melodies of their countries. The 70-minute concert, hosted by the Chinese Culture and Tourism Ministry, opened a two-day SCO Member States Arts Festival to celebrate the upcoming SCO summit in Qingdao, East China's Shandong province, in June. Chinese Culture and Tourism Minister Luo Shugang said at the opening that the arts festival is an important platform to display excellent cultures of SCO countries, as well as to enhance friendship and exchanges among people in these countries.